The lower house in Japan has approved a bill that will provide guarantee from the government on insurance for importing crude oil from Iran. The move marks the first step by a major Asian imported to work around the sanctions imposed by the European Union on import of crude oil from Iran. The bill will now be sent to the upper house of the nation. If passed in the upper house, the bill will become a law by June 27 as the government is likely to end its session next Thursday. Carlos Pascual, the State Department's special envoy for international energy issues was reportedly misquoted by a reporting agency about the reduction in India's import of crude oil from Iran. It was earlier reported that Pascual remarked that he was `not too impressed' with the India's efforts to cut its imports of oil from Iran. However, State department spokesperson Victoria Nuland clarified that he actually said that 'I am not doing press today' and not 'I am not impressed', as reported in the news. Ministers have expressed in the parliament that the government is intending to reduce crude oil imports from Iran by as much as 11.1 per cent during the 2012-13 fiscal. Minister of State for Petroleum and Natural Gas, RPN Singh said, "The target fixed for import of crude oil from Iran for the year 2012-13 is approximately 15.5 million tones." Mr Singh said that the Indian companies during 2010-11 was 18.50 million tones and was 17.44 million tones during 2011-12. The authorities in the Islamic Republic of Iran are planning to import up to 3 million metric tons of wheat from India, according to some high-level government officials. Iran might be ready to buy Wheat from India in rupees, the unnamed official indicated. A delegation of representatives Iran' central bank are set to discuss ways and means to import wheat from the country. 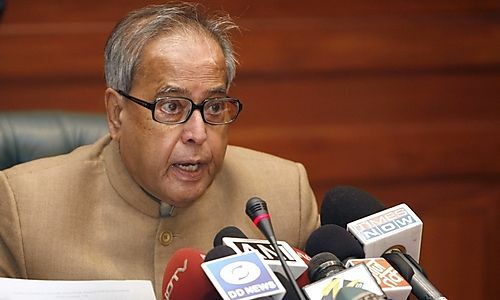 According to some reports, the U. S. government has offered its assistance to India for arranging for alternative oil supplies in order to convince Indian authorities to shun the ides of importing oil from Iran. The US might held mediate deals with oil producers such as Iraq and Saudi Arabia for India to get additional oil supplies, according to people closer to the matter. Saudi Arabia has already offered to replace Iranian oil supplies. According to some reports, the authorities in Iran are struggling to find buyers for its crude oil in the international markets due to sanctions by the European countries and US. Iran is aiming to sell additional 500,000 barrels per day of oil o refineries in India and China, according to reports citing industry sources. The crude oil is scheduled for delivery from the start of April, however the country is not offering any discount on the oil. The government of India has been able to budge immense pressure from its western allies and has reached an agreement with Iran over how to make payments for the oil imports from the Islamic Republic. The authorities in Iran has given a month's time to a consortium of Indian state-run oil companies to close contracts for beginning production at a gas field discovered in the Persian Gulf in 2006. The Indian consortium led by ONGC Videsh, Oil India Ltd and Indian Oil Corporation has expressed interest in developing the Farsi offshore block by investing over $5 billion over a period of seven to eight years. Wu Hailong, Chinese Assistant Foreign Minister has held talks with Ali Baqeri, deputy secretary of Iran's Supreme National Security Council on the nuclear issues, according to a report in the Chinese media. The talks indicate that Chine might be exerting pressure on the Islamic republic to resume negotiations with western countries over its nuclear programme. Iran is suspected of covertly developing nuclear weapons, a charge it denies and maintains that it has the right to harness civilian nuclear energy for generating power. The prices of Brent crude moved towards $111 on Monday as concerns over supply disruption due to reactions from Iran. The Islamic Republic of Iran has warned Gulf countries of consequences if they raised oil output to replace supply from Iran. 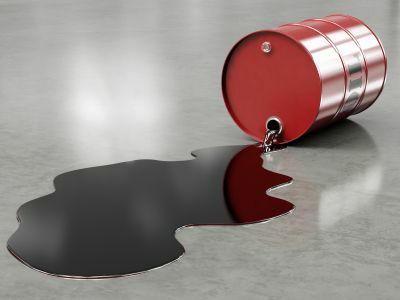 Even as western countries made alternative arrangements for replacing Iranian oils the international market remained concerned over disruptions. The authorities in the Islamic republic of Iran have announced a new military exercise in the Strait of Hormuz, through which a majority of the gulf oil passes to several countries. As a response, the western powers are already preparing a stock of oil to avoid any disruptions in oil supply if the Islamic republic decided to block the strait. The International Energy Agency (IEA) is planning to release up to 14 million barrels per day (bpd) of government-owned oil stored in the United States, Europe, Japan and other countries. Authorities in the Islamic Republic of Iran have said that it has detected the Duqu computer virus that is believed to be aimed at the country’s nuclear establishment. Experts in the country believe that the Duqu computer virus is based on Stuxnet, which is a cyber programme unearthed last year and is also believed to be designed for sabotaging the nuclear efforts in the country. Islamabad, Sept 9 : Pakistan Prime Minister Syed Yusuf Raza Gilani will visit Iran from September 11 to 13 for talks with the Iranian leadership. U. S officials have said that three American hikers accused by Iran of illegal entry remain in a Tehran prison after a year in legal limbo without formal charges. Joshua Fattal, 28, of Pennsylvania, Shane Bauer, 28, of Minnesota and Sarah Shourd, 31, of California were hiking in a mountainous resort area of northern Iraq when they allegedly strayed across the unmarked border into Iran July 31, 2009. According to official reports, Canada on Monday announced tightened sanctions against Iran, accusing Tehran of defying international law by edging closer to building nuclear weapons. Postmedia News reported on Monday that Foreign Affairs Minister Lawrence Cannon said the heightened sanctions, like previous Canadian sanctions, are directed against the Iranian government, not its people to, "send a strong signal to Iran: the international community is united in purpose and commitment." A former aide to Iranian presidential candidate Mehdi Karroubi said that the supreme leader of Iran must answer for his stance on the Iranian prison system. Radio Zamaneh, a Persian news service in the Netherlands, reported that Issa Sakarkhiz, who campaigned for Karroubi in 2009, said he was considering pressing charges against Iran's Supreme Leader Ali Khamenei for "remaining silent in the face of detainee torture." According to the official reports, the U. S. Senate voted 99-0 Thursday to pass a measure imposing new sanctions on Iran. The Hill has reported that Senate Majority Leader Harry Reid, D-Nev., said on the Senate floor, "The world has watched as Iran has oppressed its own people, violated United Nations resolutions, challenged America and threatened Israel." U. N. sanctions against Iran amounted to worthless paper and accused the United States of bullying China into going along with them, Mahmoud Ahmadinejad has said. The Washington Post reported on Friday that the Iranian president, while visiting Shanghai, seemed conciliatory toward China while expressing anger for the United States and Israel. Ahmadinejad said, "We have very good relations with China, and we have no reason to weaken our relations with China. I said the problem is the United States." According to the reports, Iranian troops have crossed into Iraqi Kurdistan and built a fortified base, one of several recent military incursions as Iraq struggles to form a government amid efforts by Tehran to ensure that a pro-Iranian Shiite alliance takes power. Another area of contention is the disputed oil-rich Maysan border region in southeastern Iraq. International jitters has been caused by a report by The Sunday Times of London that Israel plans to deploy its German-built submarines, reputedly armed with nuclear-tipped cruise missiles, off Iran. There are concerns, particularly among Middle Eastern governments, that the Jewish state is being pushed into a corner because of its growing international isolation over its treatment of the Palestinians and the actions of its right-wing government.